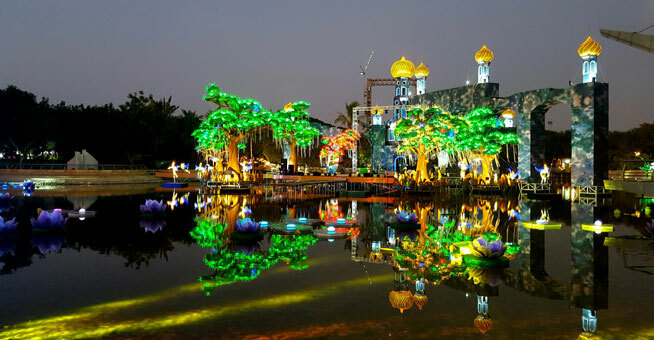 Dubbed ‘the largest themed garden in the world’, Dubai Garden Glow expects around 5,000 visitors a day when it opens on Wednesday. The attraction is spread across 40 acres, with 32 installations made by 150 artists. 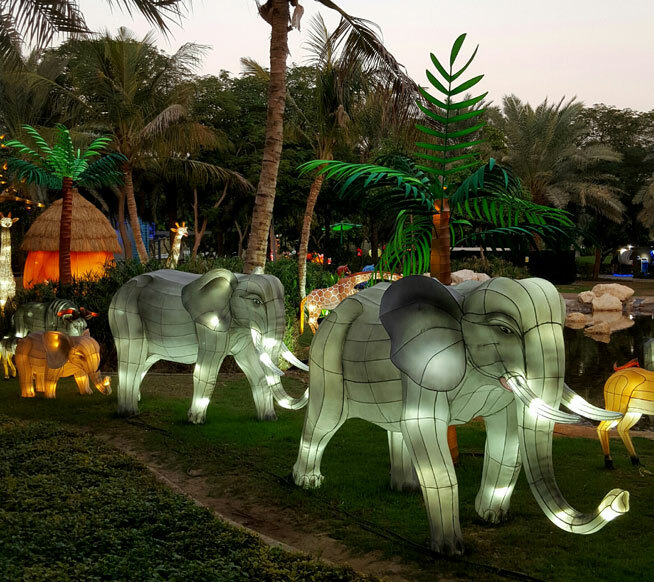 Our recommendation after a quick stroll through it is that this is somewhere to take little kids – from the moving dinosaurs to the talking tree and lit-up bugs, they’ll absolutely love it (whereas teenagers and tweens might get moany). Also, we’d go at night. During the day it’s full of cool sculptures, but at night is when it comes alive (and when you can’t see the mechanics – like plugs, etc – behind the magic). Besides sculptures and light installations, there are also food trucks at the garden, including Wagah Cafe, which serves Indo-Pak kebabs and a wee food cart that sells momos (which is the Nepalese and Tibetan version of a dumpling). You’ll also find acrobats doing tricks, a Tim Hortons right on the lake and a 9DVR ride (where you put on a headset and get taken through different landscapes for Dhs25 a pop). The still-under-construction Dubai Frame sticks out just behind the lake near the entrance to Dubai Garden Glow. There’s a whole section in the middle of the garden dedicated to the plains of Africa – walk through this bit and you’ll spy hyenas, giraffes, tigers, elephants and more. 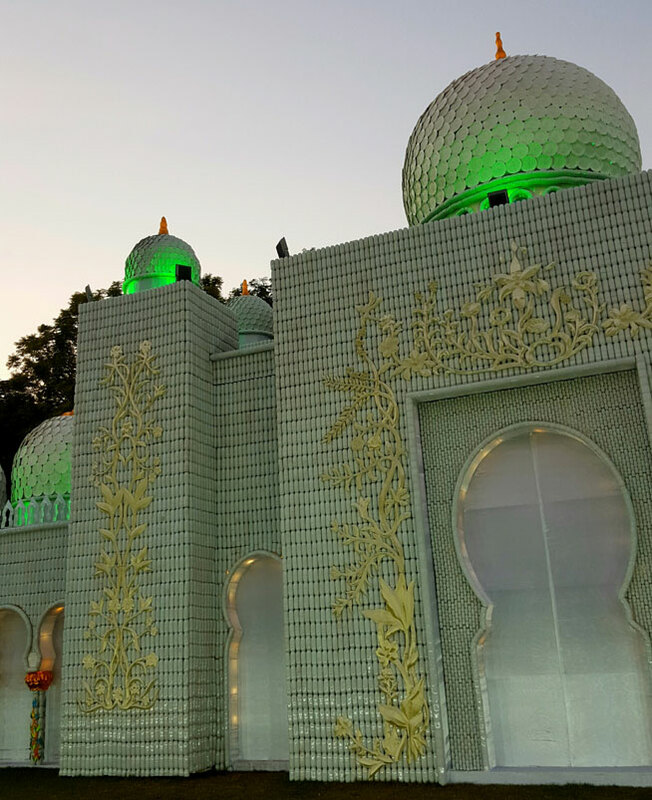 One of the coolest sights is a replica of the Grand Sheikh Zayed Mosque that’s crafted from 90,000 porcelain cups, plates and spoons. These friendly yet industrious crickets are likely to be a favourite with kids. 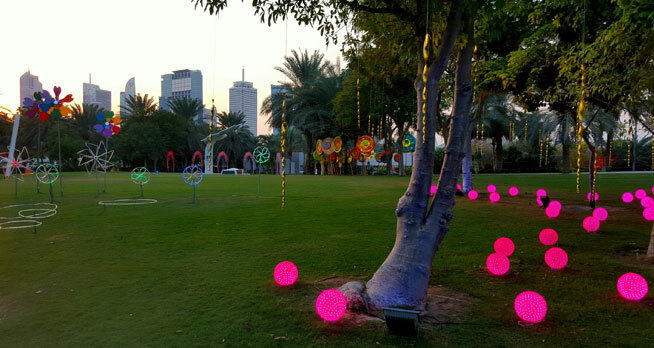 Admission to Garden Glow is Dhs60 per person (children under three can enter for free). 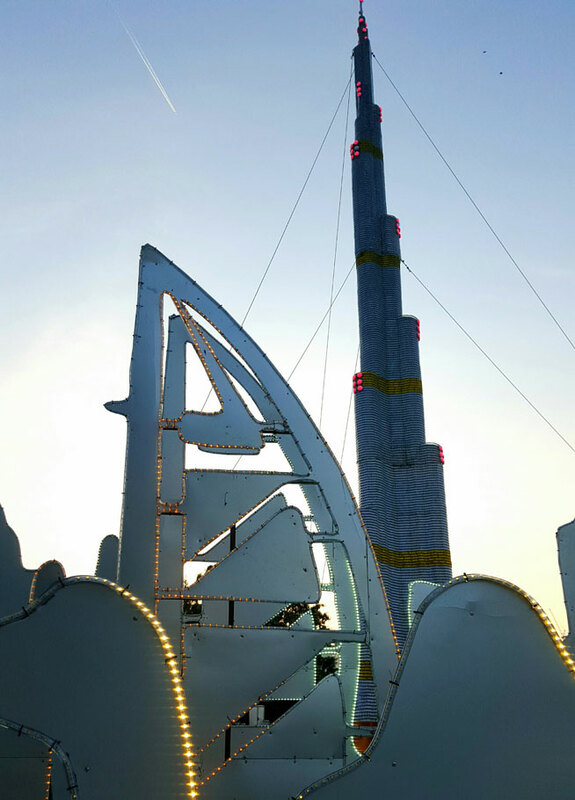 Gate 6 and 7, Area B, Zabeel Park, 4pm to 11pm daily until April 2016 (may be extended until the start of Ramadan).